The reds in an immaculate performance by Titian appear in his paintings in the most brilliant way. Red lake pigments used by Titian were among the more expensive pigments; however, they were considerably cheaper than gold and ultramarine. Nevertheless, red lakes could also be specified in the contract between an artist and commissioner, as it was usually done in respect to ultramarine or gold. 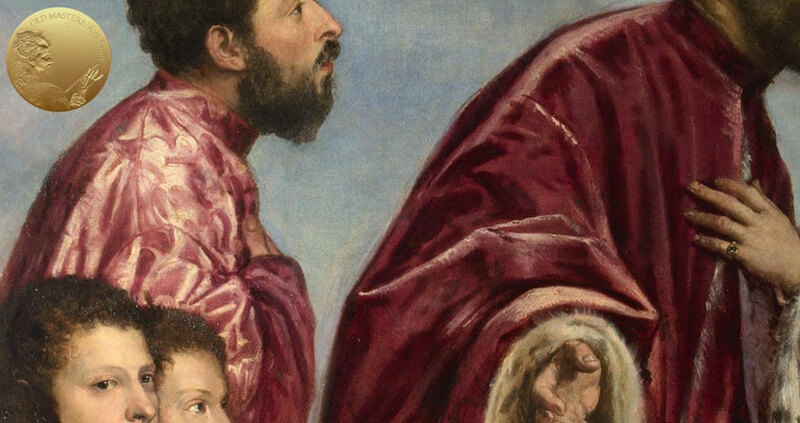 Titian and his contemporaries followed the traditions of his time when painting red draperies. 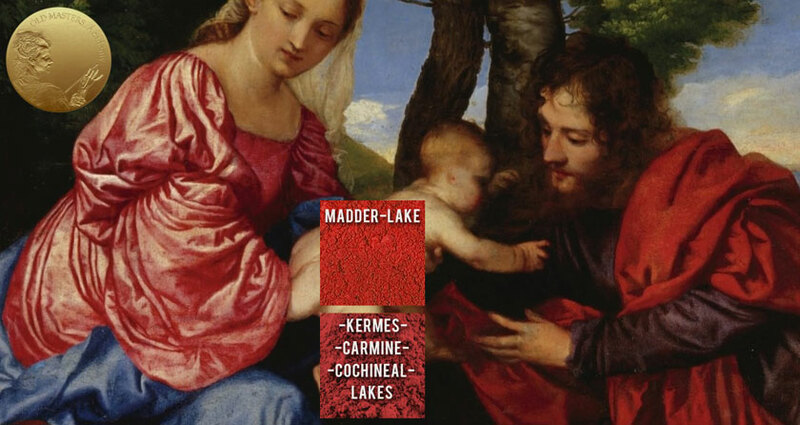 They used less expensive madder lake when underpainting, and finished red passages with kermes lake, which was more pricey. 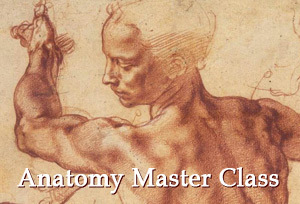 Let’s look at the red passages in Titian’s paintings with more detailed attention. Bacchus’ cloak in the famous Bacchus and Ariadne was brilliantly executed and created by using juxtaposition of multiple opaque and transparent layers. The light, pinkish underpaint layer of the cloak consists of lead white with a tiny addition of red lake. In highlights, the paint was applied with an almost pure white in a very dense, opaque coat. Later, it was covered with glazes – it required four thin red lake glaze layers over an underpainting to get such a rich painterly effect. The depth of the glazing layers varied from thin in the highlights to thick and intense in the shadows. The lead white and pink layers of the lilac drapery of the girl with the tambourine were finished with a purple mixture of ultramarine, red lake, and white. Most likely, the red lake pigment has faded to some extent. Remember, this takes time. Every layer of paint applied should be well-dried before applying another layer. 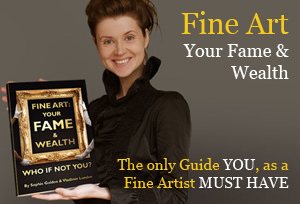 Another outstandingly beautiful red object on the painting is the sash of Ariadne. The cross-sections reveal that in the upper layers of the sash, there are three layers of pink colour. The first pale pink layer is composed of a mixture of lead white and a little red lake; the next layers contain less amount of white, but already have a small amount of ultramarine in the mix. The upper layers of the sash are completed in vermilion. The Virgin in Titian’s early The Flight into Egypt wears a satin-like red dress that was created in the same way. The glaze layers of red lake in the shadows were applied over a light pink under-modelling, containing red lake and lead white. The chipper red lakes (madder) were used for the underpaint, and the final glaze layers were done with more expensive red pigments (kermes). We see the same method of painting in regards to the red drapery in The Appearance of Christ to Mary Magdalene. 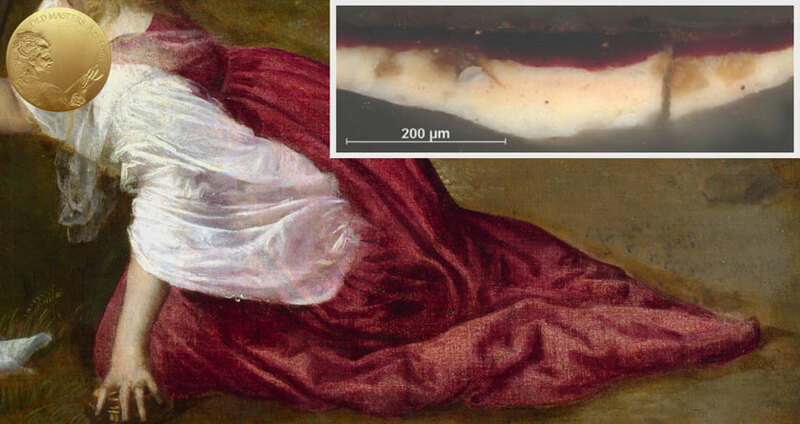 The dress of Magdalena is underpainted in a pink, opaque mix of lead white and red lake; in the highlights, there is an almost white under-modelling. The final layers are glazes with red lake, applied thickly in the shadows of the folds and more thinly over the highlights. The adulteress’ wide, red bands over her pale dress in the Christ and the Adulteress was glazed using red lake. For the dress itself, Titian mixed lead white with a tiny amount of red lake. For the shadows, he also added some ultramarine. Because the lake component has faded, the color of the whole dress most likely looks different today. 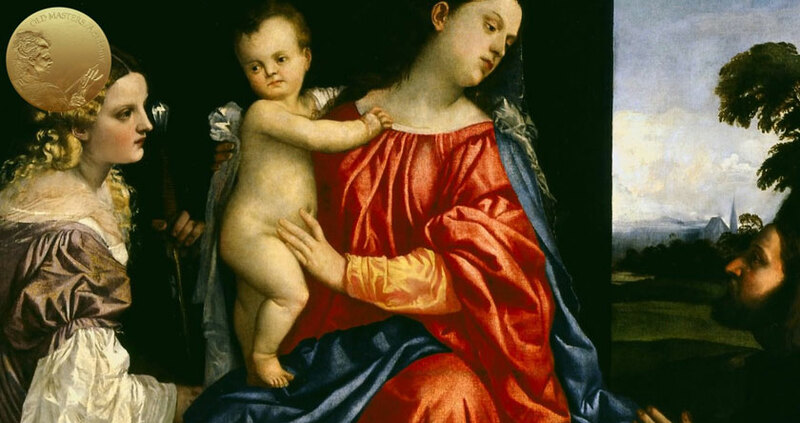 The cross-sections analysis of the Virgin’s red dress in The Holy Family with a Shepherd demonstrates the typical modelling procedure of painting red draperies. The dress has an opaque layer of red lake and lead white that was finished with transparent red lake glazes. The exquisitely sophisticated painterly effects in the Portrait of a Lady is achieved by the complex structure of the paint layers. Let’s examine them closely. The canvas is covered with gesso that is covered with off-white priming. An underpainting was built up using various color layers. The first color of the underpainting was an opaque, light pink, containing red lake and lead white. The next layer applied, after the first layer was completely dry, is an opaque, blue mixture of lead white and ultramarine (however, there is little addition of indigo in some places). The under-modelling is followed by a translucent, red lake glaze; this glaze was made with an addition of stand walnut oil. 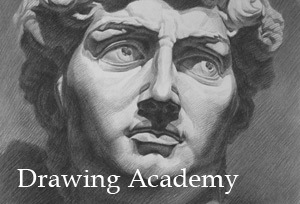 The glazing layers were painted after the basic modelling of the dress was complete. 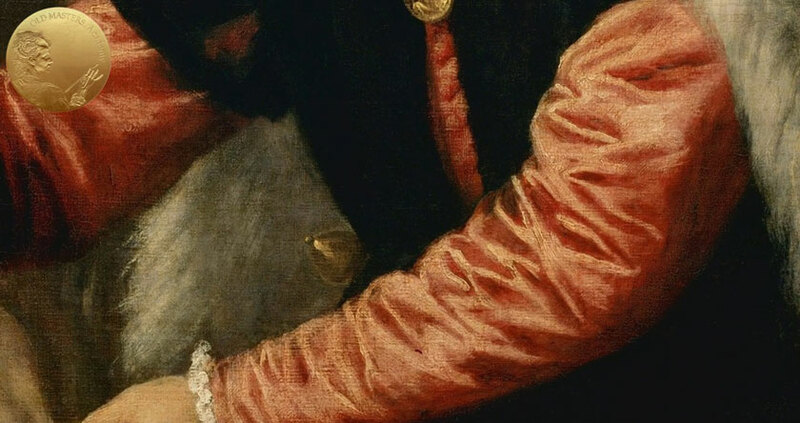 In such way, when the interspersed pink and blue layers show through red glaze, Titian was able to create this fantastic look to the fabric, which is completely unachievable using the direct painting technique. And as a final example of Titian’s reds, we will look at a large-scale commissioned family portrait – The Vendramin Family. The central figure is wearing a crimson-coloured robe. Compared to the previous example, the structure of the layers is extremely simple – the robe is painted using a pure red lake mixed with white in the mid-tones and lights.